If you've ever tried to make your own grab irons by eyeballing and bending wire into shape with a plier, you already know that it's almost impossible to make any two exactly alike. Our Grab Iron Bending Gauge has been specifically designed to quickly and easily form identical, precisely-sized grab irons from ordinary wire. 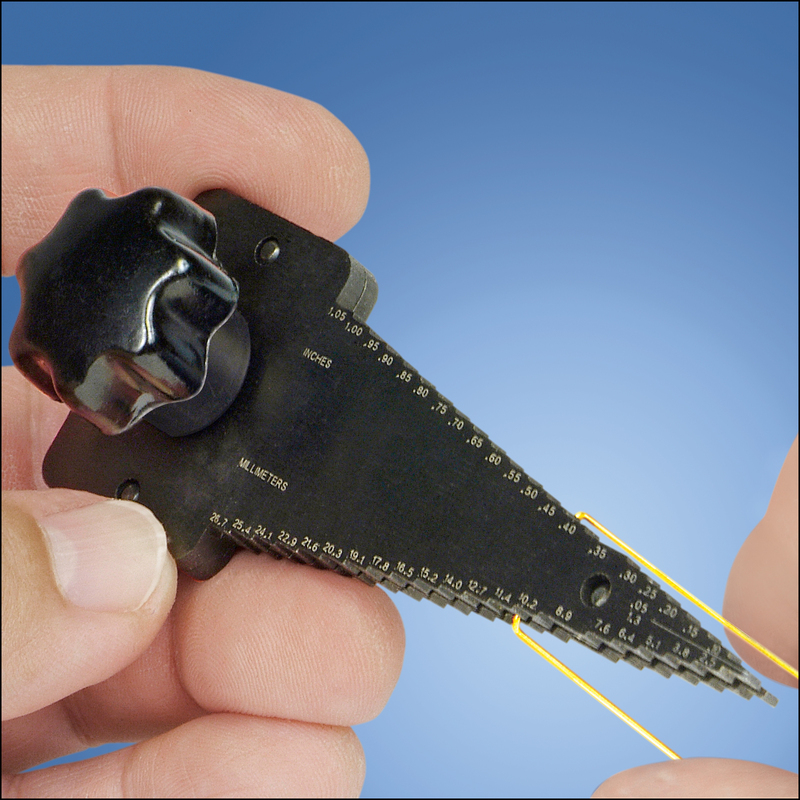 Simply clamp your wire between the gauge's jaws at the selected size and bend to shape. Made of laser-engraved blackened CNC-machined steel for long life. Bends 21 sizes from .050 inch to 1.050 inches in .050 inch increments. I want to love this tool. It functions fine, but as a tool for creating grab irons, specifically HO Scale grab irons, none of the sizes are correct. It's pretty useless for recreating the commonly used sizes.